1.1. Thank you for using www.choicemandu.com. By accessing or using this site, you, a registered/unregistered user in terms of the eligibility criteria set out herein agrees to be bound by these Terms and Conditions. 1.3. We reserve the right to change these Terms & Conditions at any time. Such changes will be effective when posted on the Website and may, at the sole discretion of Choicemandu be notified to the Users from time to time. Notwithstanding the foregoing, by continuing to use the Website after we post any such changes, you accept the Terms & Conditions as modified. 1.4.2. The above clause shall also apply to any additional Terms & Conditions applicable to the use of the Website and Choicemandu reserves the right to terminate access to the Website. 2.1. Use of the Website is available only to such persons who can legally contract under the prevailing laws of Nepal. Any minor desirous to use or transact on Website, is required to conduct such transaction through their legal guardian or parents. 2.2. The Website reserves the right to refuse providing access to the Website if it is discovered that the person accessing/using the Website is under the age of 18 years. 2.3. By accepting the Terms & Conditions, the User irrevocably declares and undertakes that he/she is legally eligible to enter into a binding contract under the prevailing laws of Nepal and such usage shall be deemed to form a contract between Choicemandu and such User to the extent permissible under applicable laws. 3.1. Any person may access the Website and the Products either by registering to the Website or using the Website as a guest. However, a guest user may not have access to all sections of the Website including certain benefits/promotional offers, which shall be reserved only for the purpose of registered Users. 3.2. If you wish to register yourself with the Website, you shall be required to create an account by filling the details prescribed in the Website. You will then receive a password and account designation upon completing the Website's registration process. You are responsible for maintaining the confidentiality of the password and account, and are fully responsible for any and all activities that occur under your password or account. 3.3. If any User provides any information that is false, not updated and incomplete or we have reasonable grounds to believe that such information is not updated & incomplete, then Choicemandu shall have the right to suspend or terminate the relevant User account and refuse any and all current or future use of the Website (or any portion thereof). 3.4.We do not guarantee uninterruptible access of this site due to inherent limitation and nature of internet. Access may be interrupted for regular maintenance, repairs and other additional cases for providing better shopping experience. 4.1. By listing a Product on the Website, every Seller warrants that all such Products are legally permitted to be sold in Nepal and the details provided for the given products are complete & accurate. 4.2. You agree and acknowledge that Choicemandu is only a facilitator and is not and cannot be a party to or control in any manner any transactions on the Website. Accordingly, the sale of Products on the Website shall strictly be a bipartite agreement between you and the Sellers on the Website. Choicemandu does not hold any title, right or interest in the Products listed on the Website. We expressly disclaim all obligations and liabilities emanating from an agreement between you and the Sellers on the Website. 5.2. Prices for the given Products are subject to change without prior notice, and at any time whatsoever, irrespective of whether an item has been earmarked/wish listed by a User. The Website disclaims any and all claims and/or liabilities arising from such revision in prices. 6.1. Prices & details for the Products are described on our Website by the respective Sellers. Users further undertake that by initiating a transaction, the User is entering into a legally binding and enforceable contract with the Seller to purchase the products using such payment facilities as may be accepted by the Website. 6.2. Choicemandu.com may enter into agreements with third party payment gateway authorized by the Nepal Rastra Bank for collection, refund and to facilitate payment between Users and Sellers. Notwithstanding anything contained herein,Choicemandu reserves the right to conduct additional verification for security if it is not satisfied with the creditability of the User. 6.4. The Website is merely a facilitator for providing the User with payment channels through Payment gateway & cash on delivery. 7.1. All Products purchased from the Website shall be delivered to the respective buyer through designated logistic partner by Choicemandu on behalf of the respective Sellers. 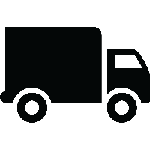 All deliveries where applicable shall be made on a best efforts basis.A nominal fee shall be charged on all the delivery as delivery charge from the respective buyer. 7.2. Choicemandu shall not be responsible for any delay in the delivery of the Products and the logistic partner shall be liable to compensate the products damaged in transit due to mishandling/negligence by the logistic partner. 7.4. Where there is a likelihood of delay in delivery of the Products, the User shall be notified of the same from time to time. However, no refunds may be claimed by the User for any delay in delivery of the Products, which was caused due to reasons beyond the control. 7.5. In case a User purchases multiple Products in one transaction, the Seller(s) shall deliver the same together. However, this may not always be possible and shall be subject to availability of stock with the relevant Sellers. 7.6. If a User wishes to get delivery to different addresses, then the User shall be required to purchase the Products under separate transactions and provide separate delivery addresses for each transaction, as may be required. 7.7. Choicemandu shall not compensate for any mental agony caused due to delay in delivery. The Users can cancel the order if the delivery time exceeds the expected delivery time. If it is a prepaid order, the Users will be refunded back the price of the product in their bank account or payment wallet, in accordance with the options chosen by you, as soon as the order is successfully cancelled. 8.2. However no Products shall be accepted by the Seller if (a) the Products have been damaged by the User (b) if there is a change in the quality, quantity or other characteristics of the Product (c) if as per the Seller, the product returned is not the Product that was delivered (d) any other circumstances that Choicemandu and/or the Seller may notify or deem appropriate from time to time. 8.4. In case of return initiated and subsequently couriered by the User , and if it is found that the claimed shipment was not delivered to Choicemandu or the shipment was empty, the onus shall be on the User to submit Proof of Delivery from the concerned logistic service provider to establish his/her claim of return. However, non-receipt of Product by the Seller or Choicemandu shall not lead to refund/exchange of the products being issued to the User. The User waives any claims against Choicemandu in this regard. 8.5. All Products ordered by the User shall be eligible to be replaced in accordance with the Seller’s replacement policy as indicated above.If the Product delivered is damaged, soiled or is different from the Product specifications mentioned on the Website. Choicemandu will accept return or exchange of a Product only in accordance with the returns policy of the respective Seller. 8.6. Refund, if any, shall be made at the same issuing bank through which the Product was purchased. 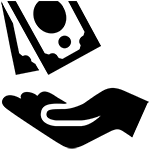 For cash on delivery transactions, the User has the option to receive the refund in any bank account or the refund will be credited to the wallet linked to User account on the Website. 8.7. For payments made through electronic means like debit card, credit card, wallet etc. refund shall be made using the same payment mode. 9.1. To provide a safe and secure shopping experience, we regularly monitor transactions for fraudulent activity. In the event of detecting any suspicious activity, Choicemandu reserves the right to cancel all past, pending and future orders without any liability. Users don’t reply to the payment verification mail sent by Choicemandu. User uses invalid Email and Phone no. We reserve the right to deprive individual Users of our cash on delivery payment option. Moreover, we might refuse any of our services, terminate accounts, and/or cancel orders at our discretion, including but not limited to, if we believe that Users violates applicable law or is harmful to our interests. You shall not make any defamatory, abusive, inappropriate, or indecent statement/s and/or comment/s about Choicemandu. 11.1. Intellectual Property Rights (“IPR”) for the purpose of these Terms shall always mean and include copyrights whether registered or not, patents including rights of filing patents, trademarks, trade names, infringement rights and further shall also include but not be limited to all text, graphics, user interfaces, etc., in relation to the Website. 11.2. All IPR on the Website shall exclusively belong to Choicemandu or the sellers, as the case may be. Under no circumstance shall any User infringe in any way such IPR of the Website pursuant to the use of Website for any purposes whatsoever. 11.3. Except as expressly provided herein, the User acknowledges and agrees that it shall not copy, republish, post, display, reproduce or distribute or in any other way infringe any Intellectual Property Right through any medium without obtaining the necessary authorization from Choicemandu or the seller owning such Intellectual Property Right. 12.1 You shall indemnify Choicemandu from any claim or demand, or actions including reasonable attorney's fees, made by any third party or penalty imposed due to or arising out of your breach of these Terms and Conditions or your violation of any law, rules, regulations or the rights of a third party.You hereby expressly release Choicemandu and stakeholders from any cost, damage, liability or other consequence of any of the actions/inactions of the sellers and specifically waiver any claims or demands that you may have in this behalf under any statute, contract or otherwise. Violate the terms & conditions of Choicemandu. 13.2. In certain cases, where the User requires certain services in relation to the Products, such as warranty, after-sales or installation services, the User shall directly contact the relevant Seller. However, in the event, the User contacts Choicemandu for the same, then Choicemandu shall inform the relevant Seller to provide or facilitate the provision of such services to the User. 13.3. The User agrees to be solely responsible towards Choicemandu and to any third party for any breach of its obligations under these Terms and for any consequences, losses or damages that may be suffered by Choicemandu owing to such breach by a User. 14.1. In the event that Choicemandu or any User becomes aware of any objectionable content on the Website including but not limited to violation of privacy, misuse of personal information or violation of any IPR, then, Choicemandu shall, by itself or upon receipt of a communication from any of its Users, without any prior notice take down such objectionable content from the Website. 15.4. By submitting any feedback or any information, the User hereby warrants that (i) the feedback does not contain confidential or proprietary information belonging to the User or any other person and shall not be entitled to any compensation or reimbursement of any kind from the Website for the feedback under any circumstances. These Terms & Conditions shall be governed by and interpreted and construed in accordance with the prevailing laws of Nepal. 17.1. In the event of any dispute arising out of or in connection with the Terms herein, the dispute shall be first settled by the mutual understanding of both the parties.i.e. buyer & the seller. If dispute cannot be settled by the mutual understanding, then it shall be referred to arbitration to be adjudicated under the prevailing laws of Nepal. Unless otherwise stated, the products listed on the website shall be delivered to the major cities of Nepal i.e. Kathmandu,Bhaktapur,Lalitpur,Biratnagar,Itahari,Dharan,Janakpur,Chitwan,Pokhara,Butwal,Bhairahawa,Nepalgunj,Dhangadhi,etc.and jurisdictional laws of Nepal shall prevail. 19.1. 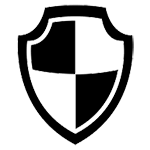 The Website’s User protection program provides for resolution of disputes arising between the User and Seller regarding refund or replacement or non-delivery of a Product. In such an eventuality, the User can write to info@choicemandu.com the issue that remains unresolved with the Seller. 19.2. The Website’s Users support team shall provide reasonable assistance and take such relevant actions against the Seller as it deems fit.